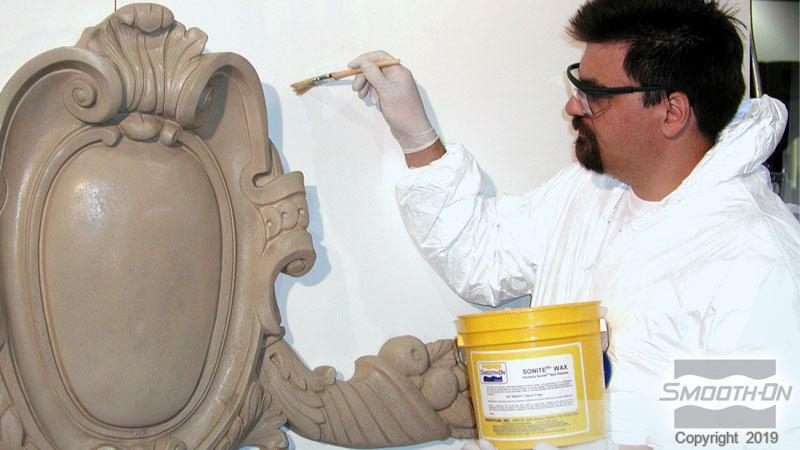 Sonite® Wax Product Information | Smooth-On, Inc.
Sonite® Wax is a soft paste wax suitable for sealing porous surfaces prior to applying Smooth-On mold rubber. 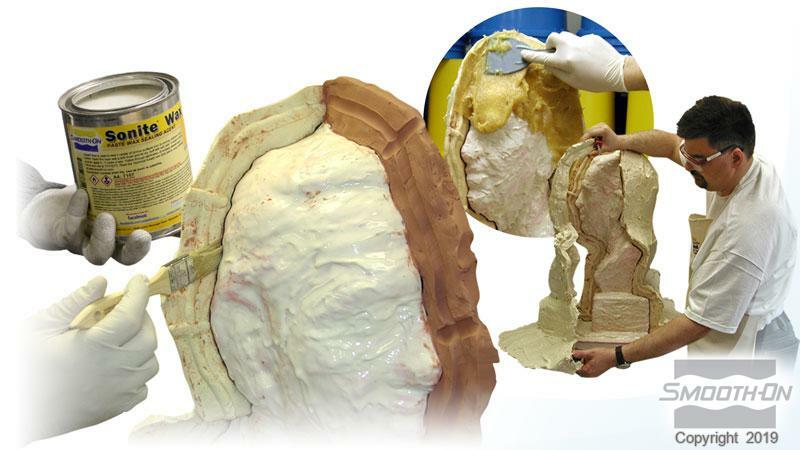 Sonite® Wax will aid in releasing mold rubber from a variety of model surfaces and can be used for other industrial applications. 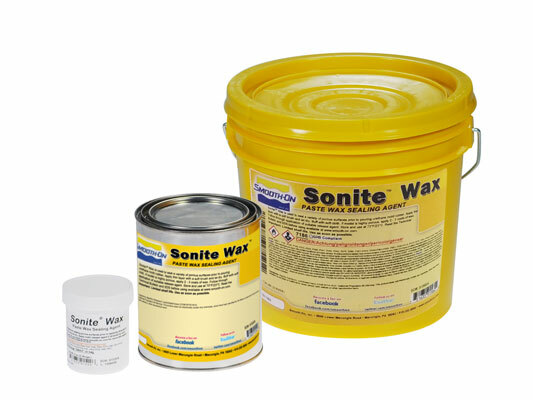 Application of a mold release agent may be necessary after Sonite® Wax has dried. Consult technical bulletin of mold rubber product for complete details. 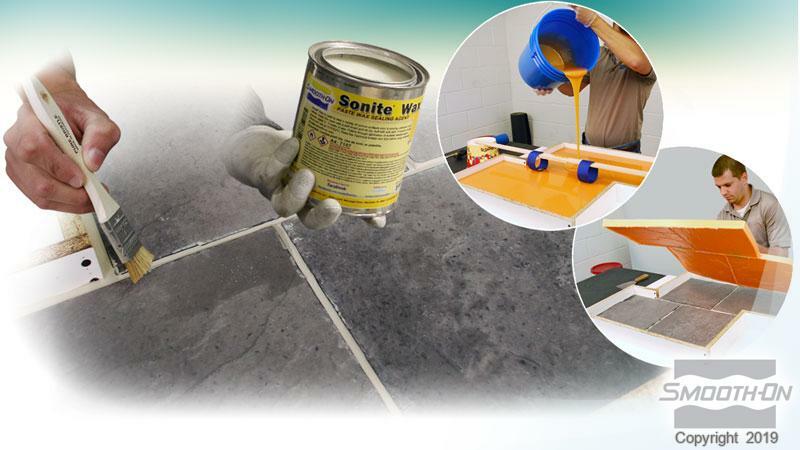 For surfaces with smooth contours, Sonite® Wax can be applied by wiping on with a soft, lint-free cloth. Any excess should be removed. For porous surfaces, apply wax and let dry. Repeat and let dry. After applying final coat, let dry 20-30 minutes before buffing with a clean soft cloth or brush to produce a glossy surface (optional). 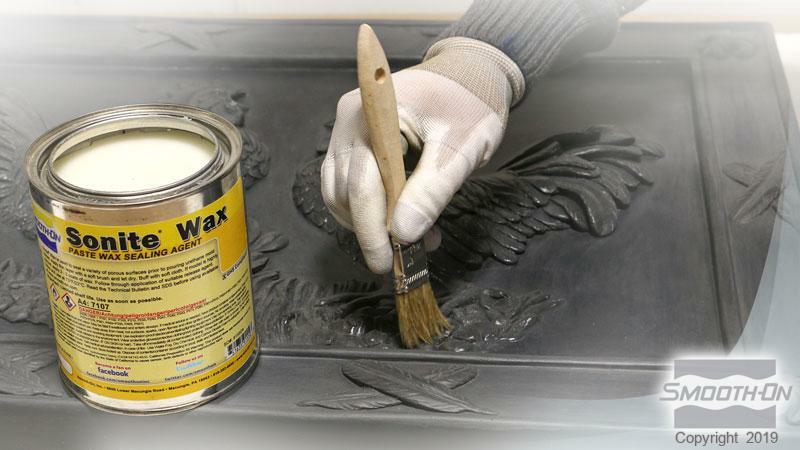 If applying urethane mold rubber (VytaFlex®, ReoFlex® or Brush-On® 40), follow application of Sonite® Wax with a thorough coating of Universal® Mold Release or Ease Release® 200 (available from Smooth-On).